Are your pegs slipping? Jumping? Having a hard time staying in tune? Remember to Winterize your Violin, Viola, or Cello! When your instrument isn't behaving, it's time to take a closer look. The diagram above shows a working peg on the left and troublesome pegs on the right. When your peg is working, you can visibly see it fitting in the hole into the peg box and turning evenly. 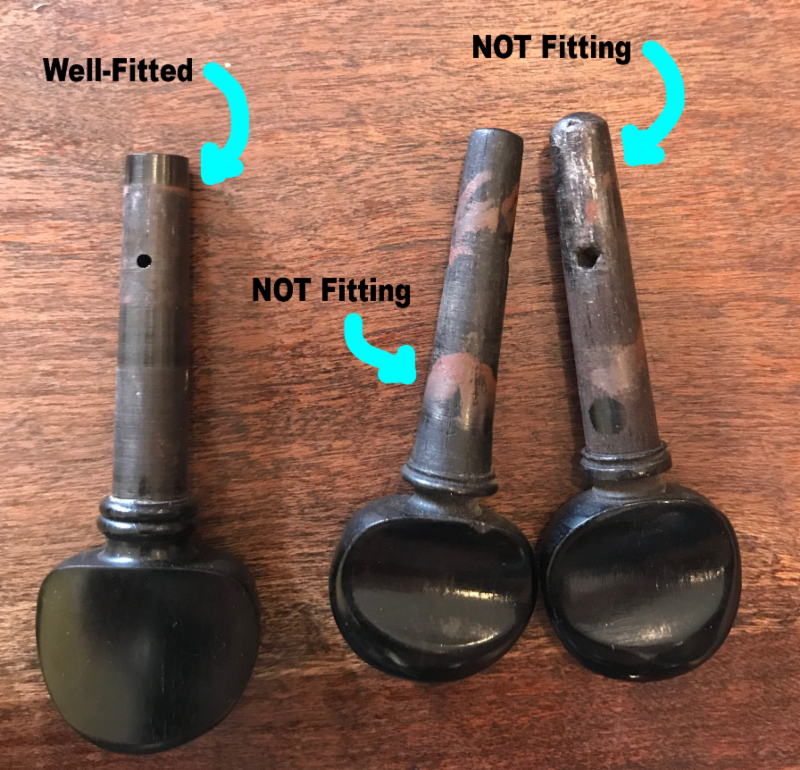 When your pegs are slipping and not sticking to the inner wall, they are much more vulnerable to changes in humidity and contraction in the wood. Make sure to have the right humidity in you house and your case. Never leave your instrument next to a heater. Try using a Dampit or case humidifier to monitor closely. Use peg compound to both lubricate and create additional friction to stop strings from slipping. Playing cello? Make sure that your bridge is adjusted for winter. Check the height of the strings at the end of the fingerboard. Your C-string should be between 6-8mm and your A-string should be between 4-5mm. Otherwise, the playability of the instrument may be compromised. Contact your Luthier for any adjustments. Remember to change your strings every 6-12 months at least, depending on how often you play. For violins, the E-string will wear more easily and can be changed as needed. (*never change your strings with less than 3 days before a performance with the exception of the E-string on a violin). Bring your instrument in for a check-up! Your Luthier will be able to perform necessary adjustments and maintenance. 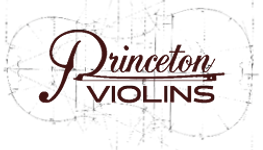 Stringed Instruments are very sensitive to temperature and humidity changes and will suffer in playability if not properly maintained. Check the humidity, use peg compound, adjust your bridge, get new strings, and schedule a check-up to get back to playing and enjoying the music!